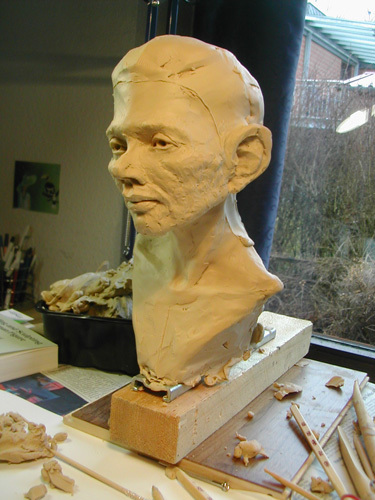 i have begun the preparatory work for a new bust carving. 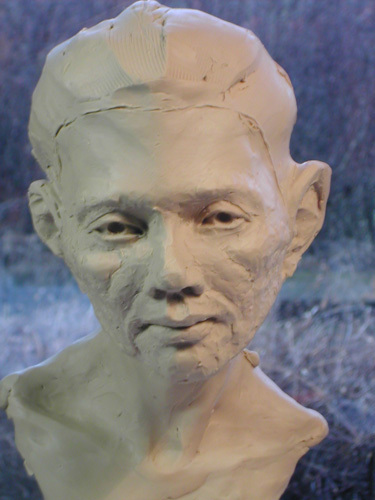 and this means, i started making a clay model to fix my idea. 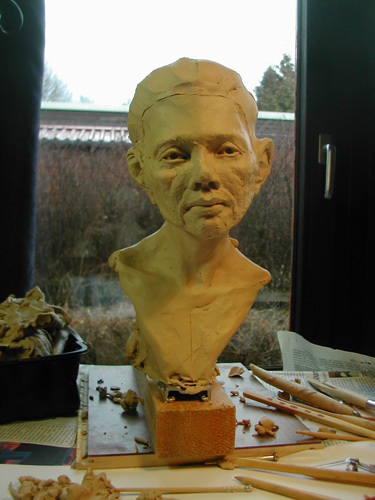 it is not a portrait of a living person, though i use myself looking into a mirror, heavily for reference on how bones, muscles, flesh etc should go to get the bust convincing. 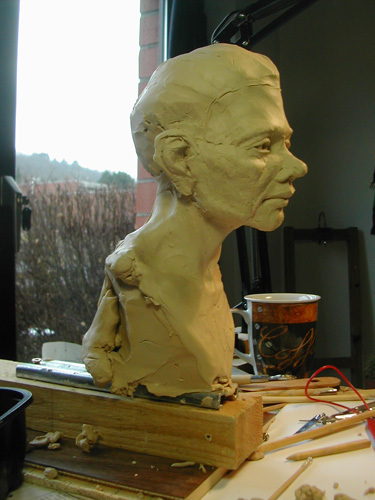 so, i am leaving my path from using reference fotos, and instead try this time, to make up my own “person” so that the carving (which i will do if this clay bust becomes what i wish to so that i can use it as model…) will hopefully portrait an emotion. Doris, you are so talented. I am not an art critic by any means, but this bust has a ‘hold’ on me. There is something about her eyes that make me feel as if she has has experienced a great loss, but is still looking forward, not to the past. There is a determination in the way her jaw is set. She seems to be a very steadfast person. I don’t know if this is how you wanted her to come across, I thought I’d let you know what she brings out of me. I am looking forward to the carving and the progress photos that you always publish.